I visited Israel and Jerusalem in June. I was intrigued by the beautiful Jerusalem Cross. A few Sundays ago, I realized that the gold design on the front of the red Gospel that our priest lifts high before the Gospel reading, is a Jerusalem Cross. It’s so strange that we can see something repeatedly, without really seeing it. Because I didn’t know about the Jerusalem Cross, I just thought the design was beautiful. Perhaps by doing this craft project, your children can become familiar with this thousand-year-old design from the Crusades and recognize it elsewhere. 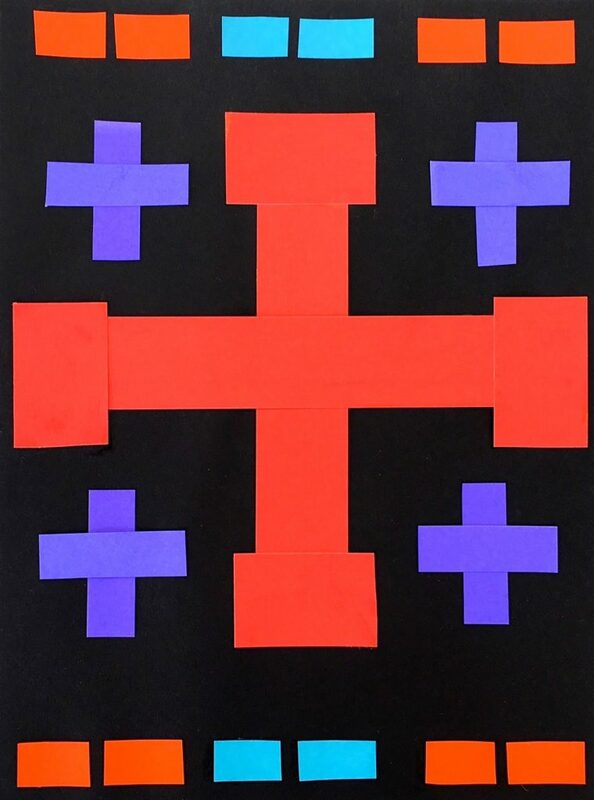 Here is an easy way to make a colorful Jerusalem Cross. I used Faber-Castell black craft paper that is heavier than regular construction paper. I had a card stock pad cut by a machine that cuts through any weight of of paper perfectly. I also used scissors to make short pieces. Obviously, you don’t need to have the paper cut professionally. I have a local mailing supplies store that does it for me very cheaply. Cutting up construction paper with scissors will do the job. 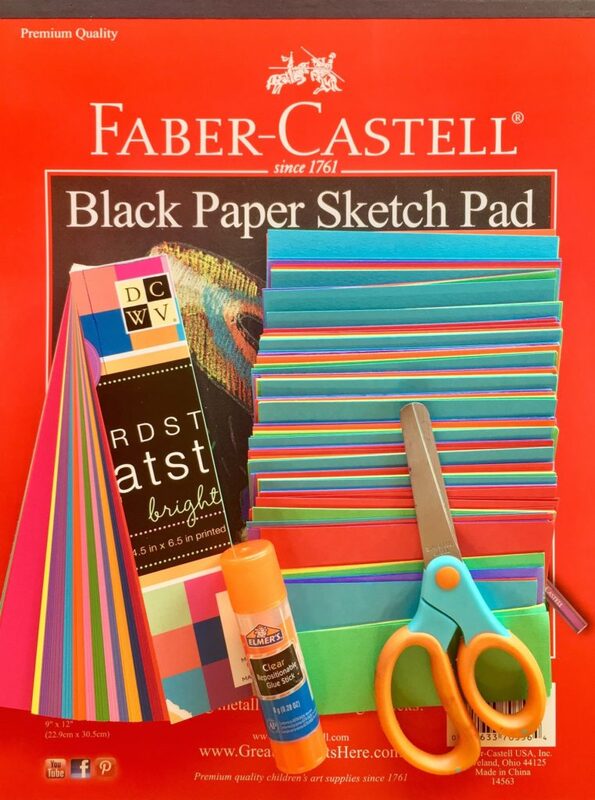 With any type of glue stick or school glue, you can lay out the design and paste the cut paper to the black for a beautiful effect.